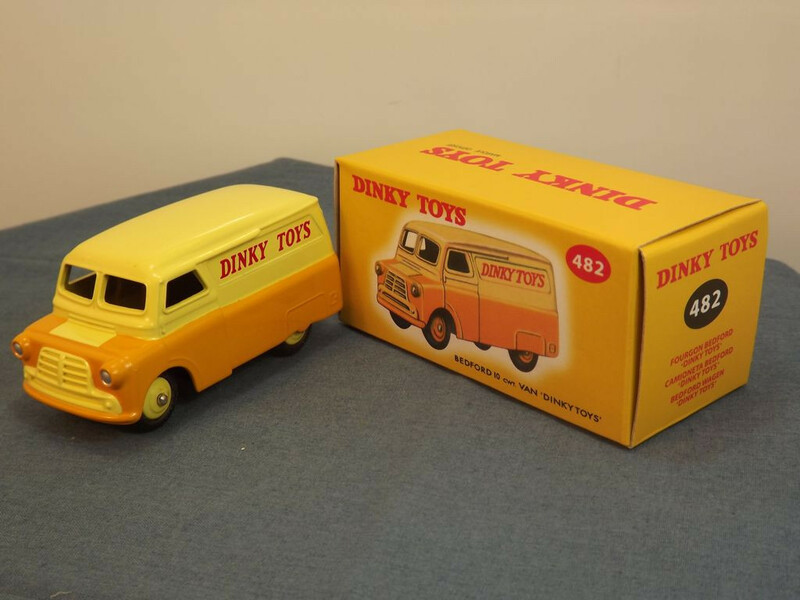 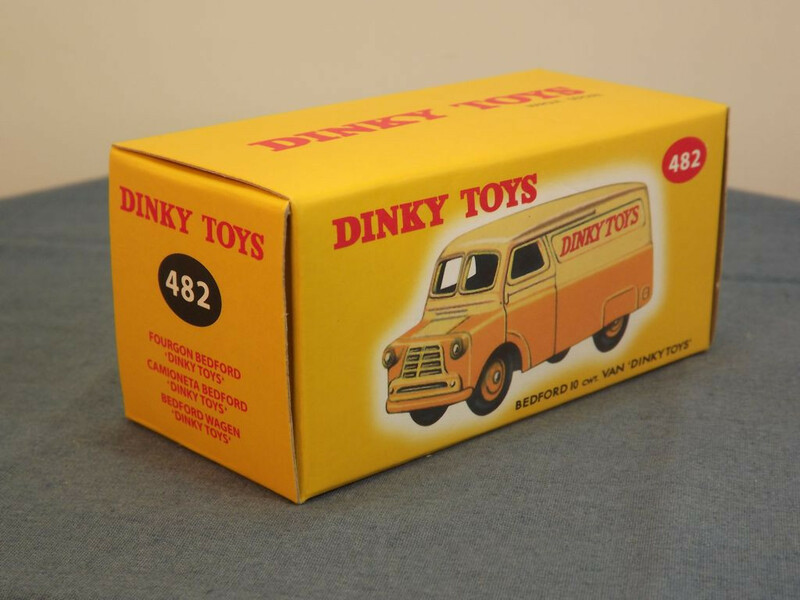 This model is the Editions Atlas Dinky 482-G-1 Bedford CA Van in Orange and Yellow "Dinky Toys" livery. 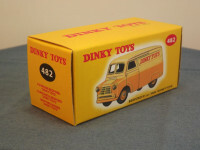 It comes in its original Editions Atlas reproduction card box. 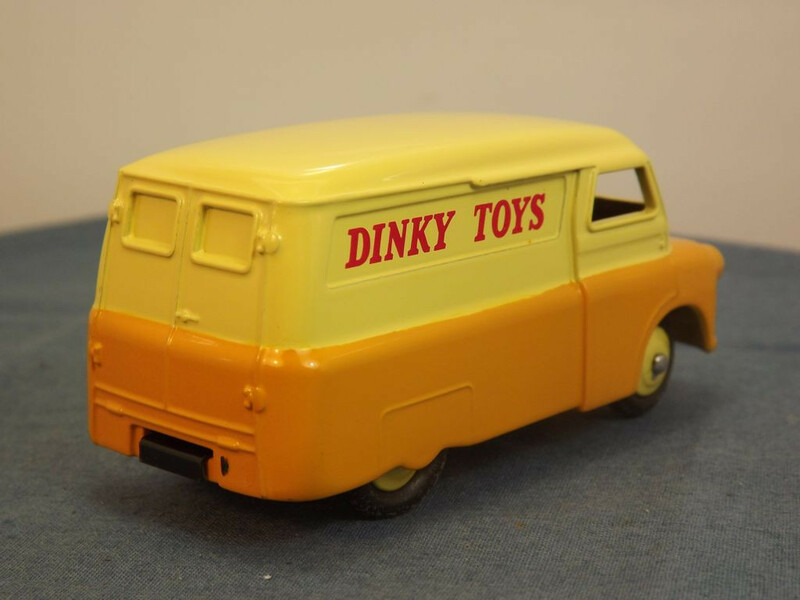 There are no opening parts on this model and all features are cast into the body casting. 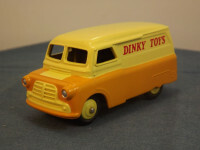 The model has silver painted headlights and the grille and bumper is mask sprayed in the lower body Orange. 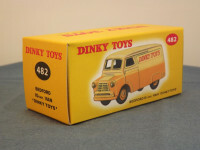 The rear sides carry tampo printed "Dinky Toys" signage in red lettering. There is no glazing and the rear door windows are closed (cast with a metal "window"). 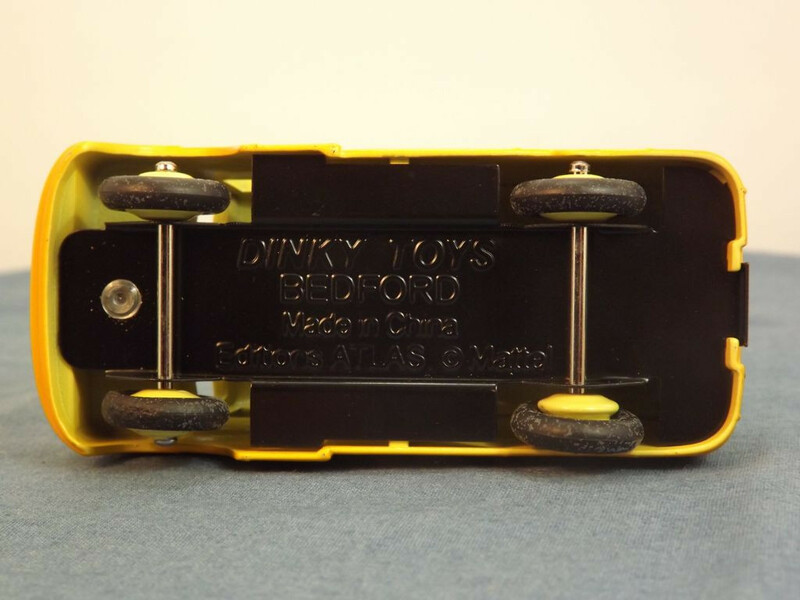 The base plate is black metal marked with "Dinky Toys" at the top centre, "Bedford" on the second line, "Made in China" on the third line, and "Editions Atlas © Mattel" at the bottom centre on the fourth line. 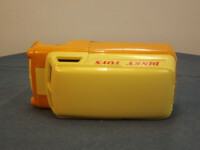 It is held in place by one machined rivet and a rear body locating lug. 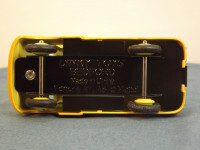 All wheels are yellow cast metal hubs (ridged) with black rubber tyres fixed to domed steel axles. 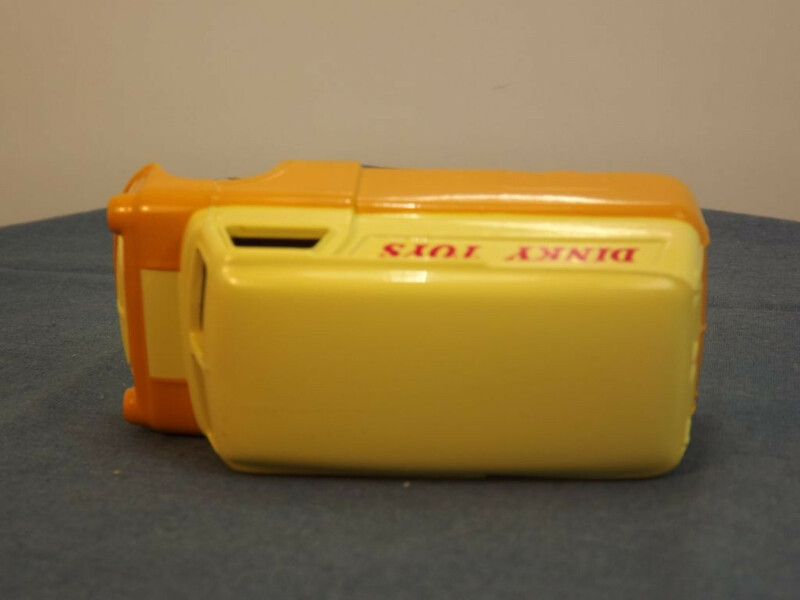 I do not know when this Atlas reproduction model was produced, but think it to be 2015/2016.